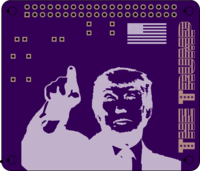 2 layer board of 2.57 x 2.21 inches (65.2 x 56.1 mm). Uploaded: March 20th, 2018 19:27. 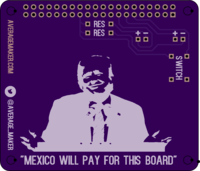 A comical add-on board for the Raspberry Pi. 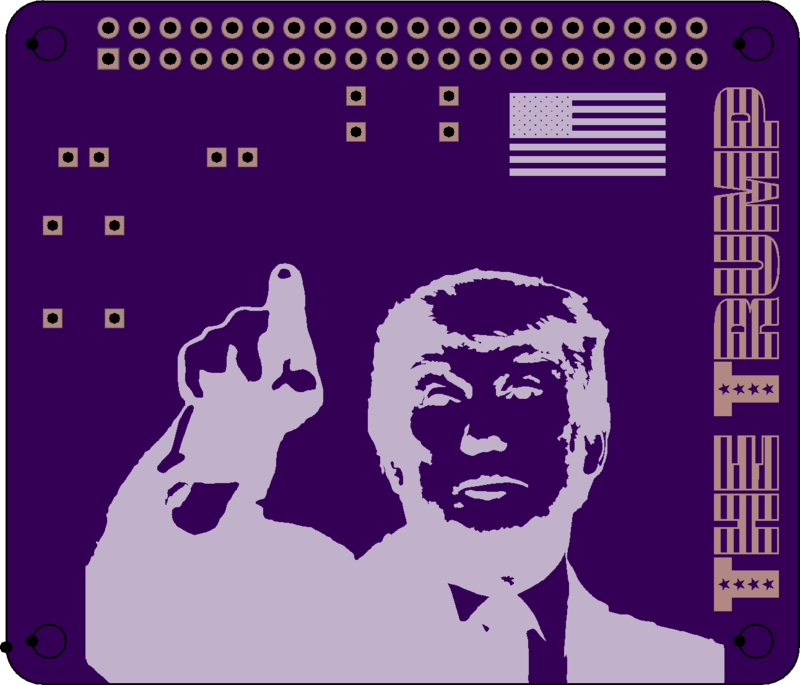 Once assembled with LEDs, resistors and a switch, you can program the second LED to light up whenever the American President sends a tweet (like a warning to the world). If you’d rather not know, use the switch to turn off the script (with the 2nd LED as a script on/off indication light). 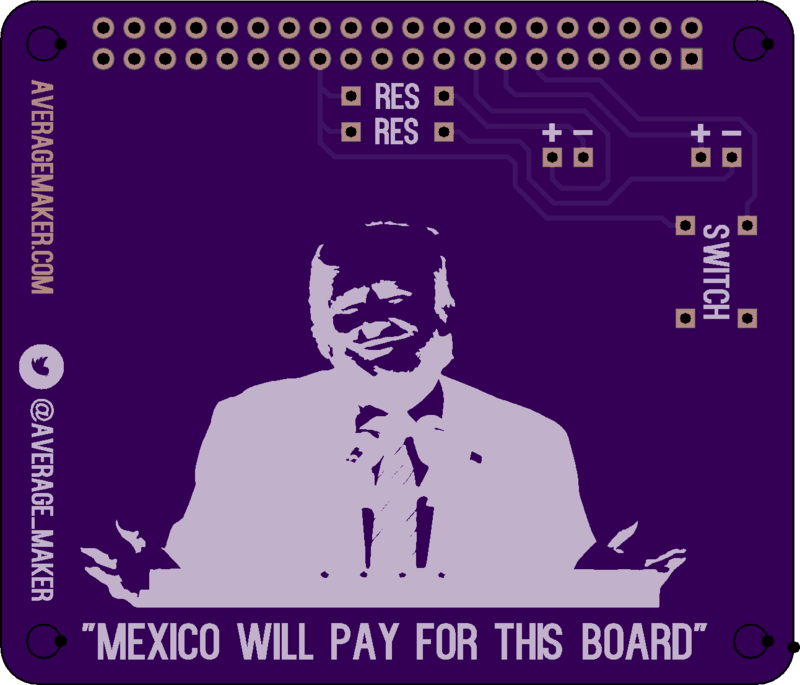 “Make PCBs great again!”.